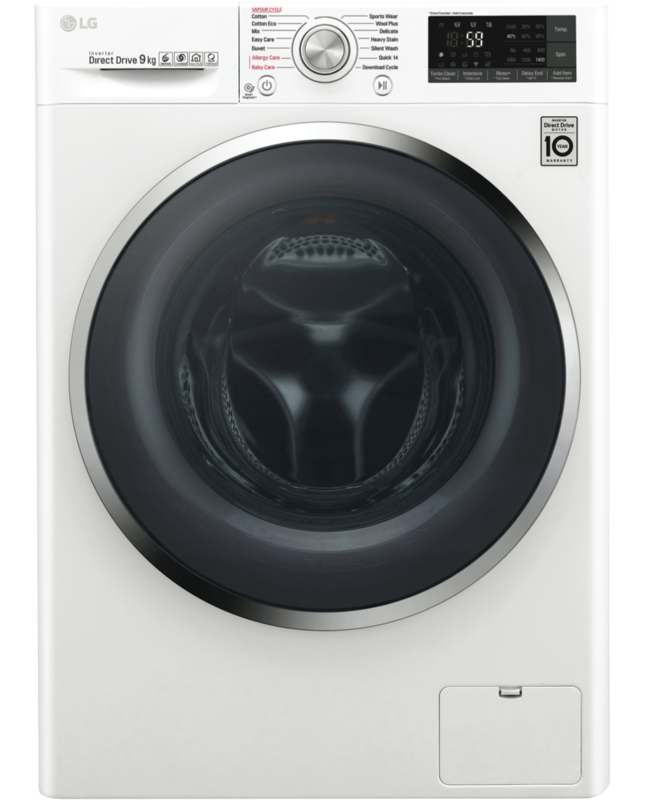 This white LG front load washing machine has a high 4.5 star WELS water rating and a 4 star energy rating for bill savings, and the capacity to wash 9kg of dry laundry per load so you can wash heavy and light loads alike for a five or more person household. Feel at ease when your clothes have been washed with the Allergy Care vapour cycle. Water in your washing machine reaches a sufficiently high temperature to help reduce dustmites, bacteria and pollen allergens found in laundry.